Hosting a plethora of festivals throughout the year, offering exciting art and theatre options, and boasting spectacular opportunities for shopping and dining, the City of Maple Ridge is a must-consider destination for homebuyers relocating in Metro Vancouver. Maple Ridge is situated between the Golden Ears Mountains and the Fraser River and has the perfect blend of urban convenience and rural beauty. Those that desire wide open spaces, yet want to be in close proximity to big city amenities, will love Maple Ridge. As one of Metro Vancouver's fastest-growing cities, this splendid community truly has it all. Popular shopping venues in and around the city include Westgate Centre, Valley Fair Mall and Haney Place Mall. You will also find abundant and diverse dining options that include fast food restaurants, fine dining establishments and everything in between. Residents enjoy fresh seafood, steakhouses and ethnic cuisines such as Italian, Indian, Greek, French and Japanese fares. Though primarily a car-dependent community, Maple Ridge also has great public transportation with easy access to multiple Translink buses and the West Coast Express. It is all of these fabulous features and amenities that make Maple Ridge an increasingly popular choice among homebuyers. Those looking to buy a home here will be pleased to find a number of truly impressive neighbourhoods from which to choose. Among the most noteworthy is Northwest. The Northwest neighborhood of Maple Ridge is found to the east of Pitt Meadows, below Golden Ears Way and above Dewdney Trunk Road and the Lougheed Highway. This delightful community has an alluring peace and serenity, yet is only minutes from the city’s downtown and all of its great attractions. Approximately 44 km from Downtown Vancouver, the Northwest neighbourhood is a great option for young professionals desiring a short commute and a quaint, quiet home. Northwest is also a great choice for families and it is not uncommon to see children playing here. Homes for sale in Northwest Maple Ridge include townhouses and single family homes, usually on large roomy lots. 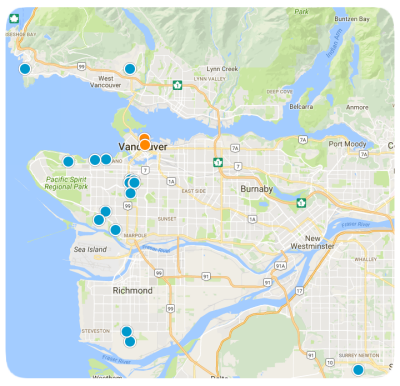 As the neighbourhood continues to grow in popularity, property values are expected to increase, so now is a great time to invest in Northwest real estate. If you would like to buy a home in Northwest Maple Ridge, please allow us to assist you and contact us today.